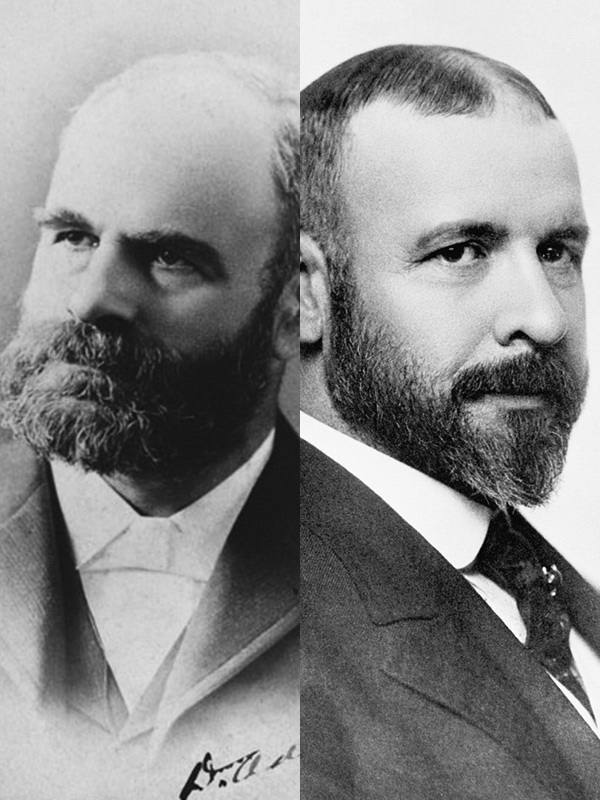 During their partnership, Dankmar Adler and Louis H. Sullivan created some of the ground breaking and influential buildings of the late nineteenth and early twentieth century. Adler specialized in the engineering side of the business, which allowed Sullivan to work primarily as the designer on their projects. Together they completed many notable structures including the famous Wainwright Building (St. Louis, 1891), the Schiller Building (Chicago, 1891) and the James Charnley House (Chicago, 1891–1892). However, it was the Chicago Stock Exchange, built at the height of the Chicago World’s Fair in 1893, that was undoubtedly the magnum opus of their career. The interior of the building was decorated with lavish organic designs inspired by the flora and fauna of the prairie landscape exemplary of their uniquely Midwestern style of Art Nouveau. Although the partnership ended in 1895, Adler and Sullivan forever changed the architectural landscape of Chicago with more than 180 buildings designed during the 15 years they worked together.